Home » DIY AG doll food » Make Cute Halloween Cake Pops for your AG Dolls! Does your child want to have a Halloween party for their American Girl Dolls? Then help them make some cute Halloween Cake Pops from polymer clay! My inspiration for this DIY AG doll food tutorial was a Wilton idea sheet. I think I found it in with their Halloween baking supplies at Jo-Ann’s. 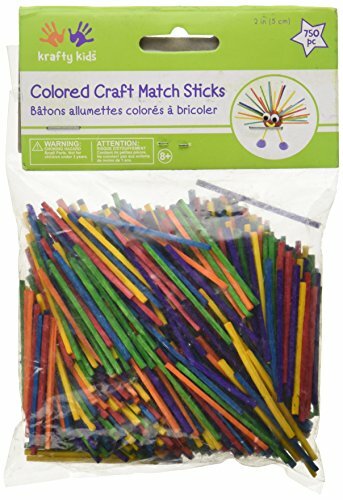 Those free idea sheets that you can find in stores are often great inspiration for doll crafts. Please note: We use clear nail polish all the time to glaze our finished polymer clay projects and it holds up well. However, if you live in a more humid area, it may get sticky over time. 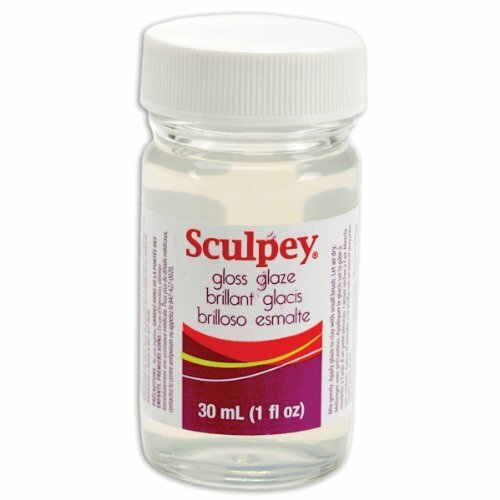 If you live in a humid area, I recommend using the Sculpey glaze. 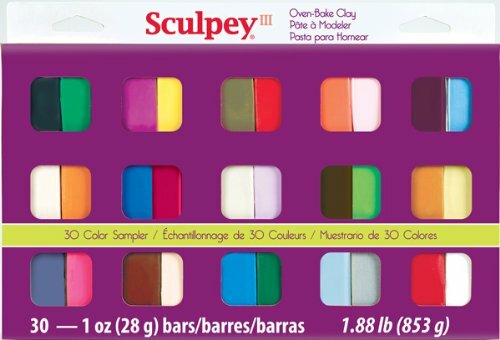 Be sure to follow the directions on the Sculpey packaging, as I believe you need to glaze the polymer clay before baking. You want to start with a small amount of polymer clay in your cake ball color and roll it into a ball. You want the ball to be about 3/4 inch in size. Next you want to make the face. Take two tiny little bits of white (about the size of the head of a sewing pin) and roll them into balls. They need to be roughly equal in size. Press them into the ball, flattening them, to form the eyes. Now take the tiniest bit of black to form the pupil on each eye. Seriously, you don’t need much at all! Flatten onto the white to form the pupil. Take a small amount of black and roll it into a thin snake. Form the mouth as desired. I think this one looks like a mustache! You can even use tiny bits of white to make teeth. Cut a toothpick in half and insert the pointy end into the bottom of the ball. You can vary the number of eyes, placement of the pupils, and shape of the mouths to create an endless number of expressions on your monster cake pops. Bake according to the instructions on your polymer clay package. Allow to cool completely. After they baked and cooled, I glazed my pops with clear nail polish to give them a shiny finish like real cake pops have. Although you can get specialized polymer clay glaze, like Sculpey Glaze, I typically just use clear nail polish for my AG doll foods as I always have some on hand. To hold the cake pops upright while they dried, I cut slits into an old cardboard mailing box and stuck the pops into it. To display the Halloween Monster Cake Pops, I stuck some floral foam into a Halloween treat basket I had on hand. I covered the foam with a bit of confetti and then stuck the pops into the foam. A great addition to any Dollyween party! While you are here, be sure to check out the rest of my Halloween doll crafts. So tell me… Have you been making any AG doll food this Halloween? Feel free to leave a comment below. I would love to hear what you have been creating!